Great service and the latest technology make Luxe Wash my favourite car washing company in Ipswich. I wouldn’t bother dealing with anyone else. Come in – wash your car in our brand new Car Wash in Redbank Plains, Ipswich. LuxeWash is proud to be able to provide our services to the Redbank Plains and surrounding community. We look forward to working with and supporting this growing region. 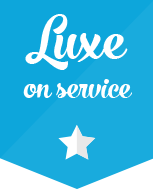 We are excited to offer Ipswich residents a Car Wash that’s Luxe on quality and service, not on price! You’ll be delighted with the sparkling clean finish you get from our latest automatic touch free car wash. In and out in less than 6 minutes! Or drive into one of our self service bays – we’ve got everything you need at your fingertips to give your car a fantastic clean, in and out. So easy! Not only do we own LuxeWash, you’ll find family members on staff as well. We are genuinely keen to make sure you get great service – you’ll always be greeted with a smile. 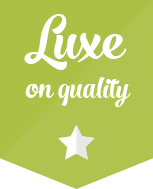 LuxeWash offers a clean car guarantee. 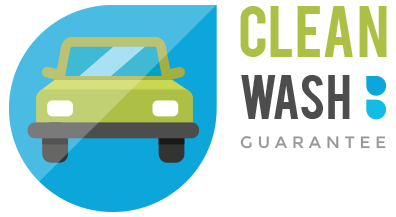 If you are not completely satisfied with your wash, we will immediately rewash your car at no additional charge. This offer is only valid at the time of your original visit and proof of purchase receipt is required. Haven’t been to an automatic car wash before? No problems! We are here to help. LuxeWash will be attended by staff from 8am to 4pm every day. If you need help, or have any questions at all, we’ll be super happy to help out! Just ask. We also have a Frequently Asked Questions page. Bring Fido in for a good scrub too! Dog wash bay on site.